Our purpose-built cruise boat Odalisque is moored in Bathurst Harbour, a protected Marine Reserve, located deep in the remote and wild Tasmanian Wilderness World Heritage Area. Ringed by mountains and buttongrass plains, this magnificent waterway is reached only by foot, air or sea – there are no roads into this region. Guests begin their experience with a scenic flight from Hobart into the Southwest region. Once in the wilderness, daily shore excursions, both ashore and afloat, expose guests to all the different aspects of this beautiful country, from mountaintop vantage points, through ancient rainforests, across buttongrass plains, on celerytop pine-crusted islands and along isolated beaches. Guests soon discover why this special place has been classified as a Marine Reserve, National Park and World Heritage Area. 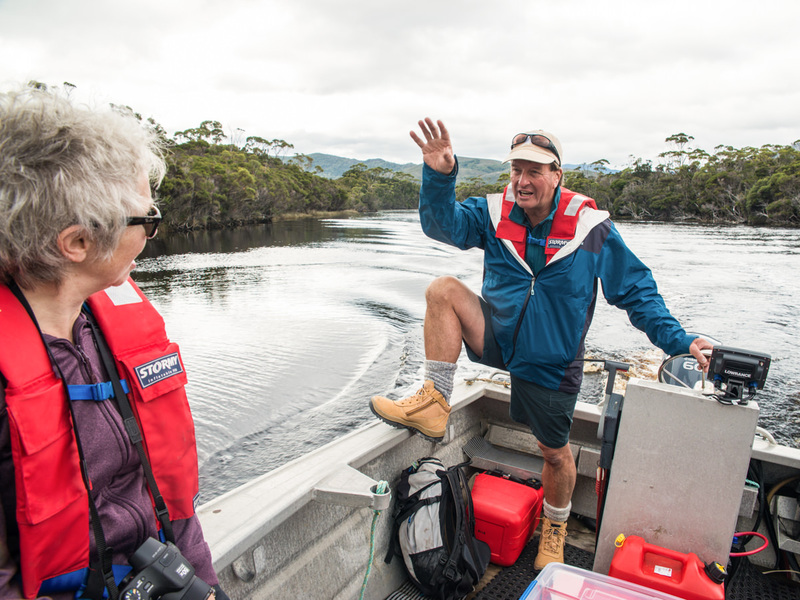 The Port Davey & Bathurst Harbour is one of the most magnificent landscapes on the planet. Gold-green ranges, with bony quartzite ridges, rise sharply from the Southern Ocean and the broad interior waterways of Port Davey. Four major rivers and numerous creeks cut through gorges and snake across open plains, draining their rust-coloured waters into the marine reserve. Tiny islands dot the surface of the dark waters. White quartzite sands fringe the shoreline. Mt Rugby – the highest and most prominent peak bordering the reserve – rises grandly from the western shore of Bathurst Harbour. On a fine, calm day the marine reserve’s waters reflect this almost prehistoric looking landscape to endless perfection. The Port Davey Marine Reserve was created to protect an extraordinary underwater world. In Bathurst Harbour a very unusual marine environment has been created by a deep layer of dark redbrown, tannin-rich freshwater, which overlies tidal saltwater. The tannins restrict sunlight penetration to the top few metres, limiting the growth of marine plants. In their place live colourful and delicate marine invertebrates, including sea pens. Guests might notice that these sea pens feature in the artwork etched into the sides of the Odalisque. In the clearer marine waters of Port Davey – away from the influence of the freshwater tannins – a more typical Tasmanian underwater world exists. Diverse kelp forests and abundant fish thrive beneath the surging Southern Ocean waves. This Marine Reserve forms part of the Southwest National Park, and is surrounded by the Tasmanian Wilderness World Heritage Area. The Tasmanian Wilderness World Heritage Area encompasses a greater breadth of values than any World Heritage property on Earth. 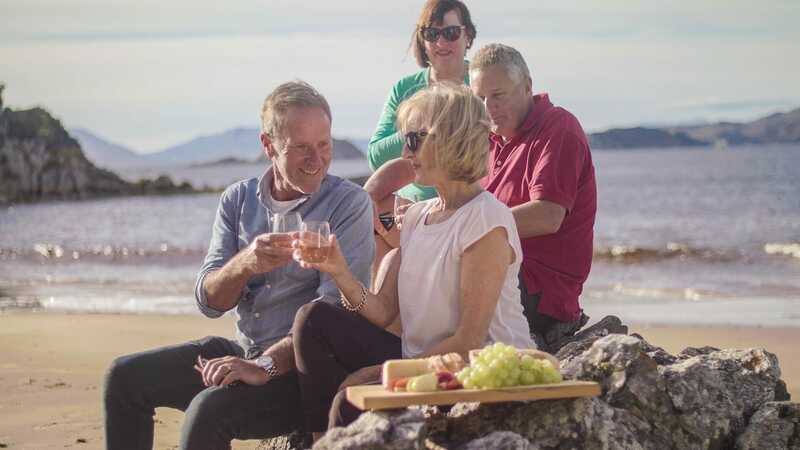 Of 1052 sites in the world which are recognised as World Heritage areas, Tasmania is one of only 35 sites that satisfy both cultural and natural heritage values. But even more impressively, the area satisfies seven of the ten criteria, including unique human culture and history, wilderness, plants and wildlife, and geology. Only one other site in the world (located in China) equals this number and none exceed it. There’s a lot to explore; Tasmania’s World Heritage Area comprises 1.38 million hectares, or about 20 per cent of the entire State.